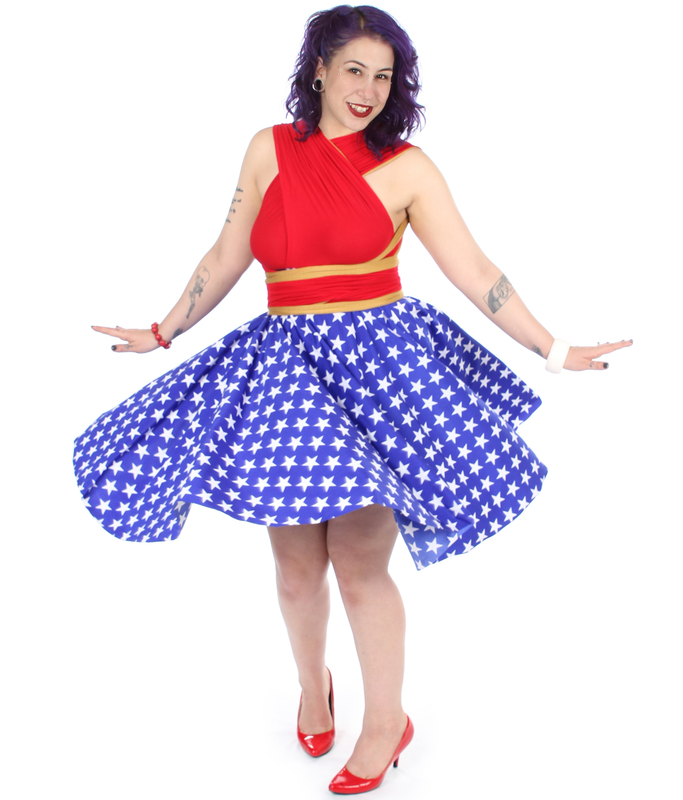 Our favorite part of creating gorgeous comic book dresses is seeing our customers' incredible responses. Please join our other 5-Star reviews by leaving your squeeeee here! "I can't believe I haven't left a review yet. I love my dress. I have had it for over a year now. Danielle overnighted it to me so I could wear it to my bestfriend's wedding after some address issues. In addition to the POCKETS, it is the SOFTEST THING I HAVE EVER WORN. Even my boyfriend loves it. I wore it on a date with him and he put his hand on my knee and exclaimed "Oh I like this fabric. It's so soft""
"Literally my favorite business ever. These dresses are gorgeous and so well made (I'm a former theatre costumer so I have very high standards). Also, with the convertible wrapping, you can basically make it into any style. 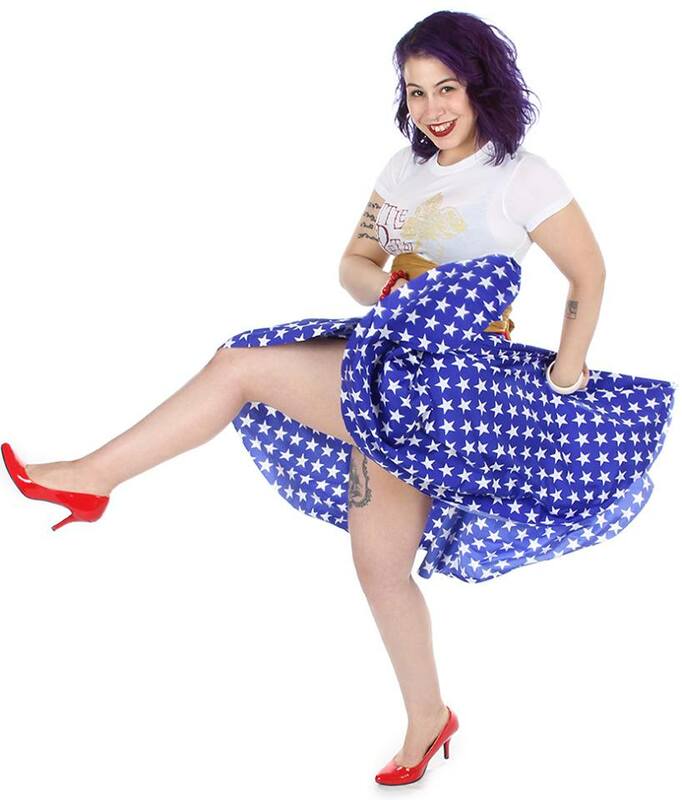 This business is majorly feminist, pro-body positivity, pro-social justice, pro-everything wonderful and this is a community that I am so proud to be a part of." "I just realized I never formally did this so YES BUY ALL THE DRESSES FROM DANIELLE <3"
"Persistence, quality, dedication, ingenuity. Riverly loves her dress!" "Beautiful work, super soft fabric. 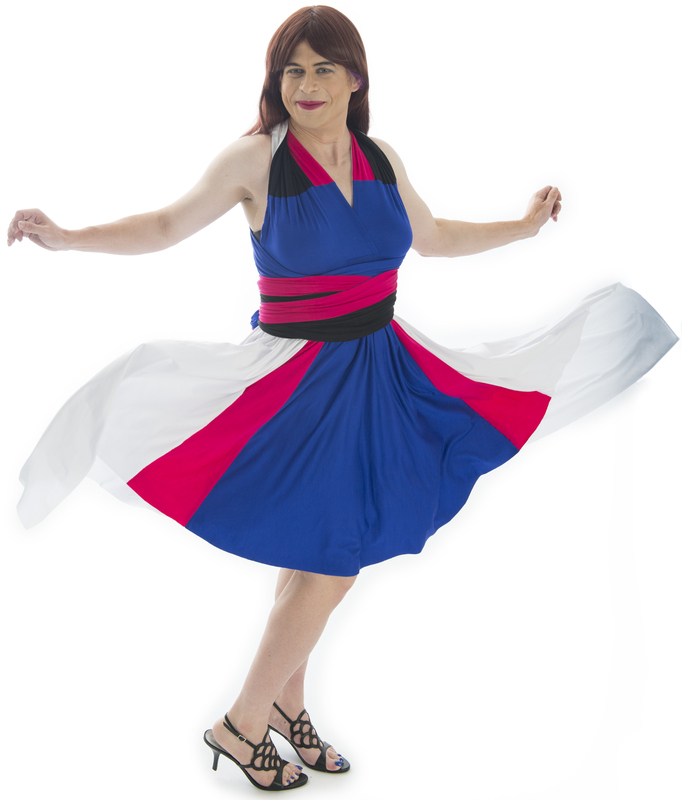 Ordered one and I will certainly be ordering more in the future "
"The dresses are fun and colorful! I can tie them up any way I want!" "Emphatically yes!! She takes great care to make sure your dress is the best!!" "Love love these dresses! I have 2 already and just used the BOGO to get 2 more. They are so comfortable and adorable, I can't wait for my new ones and to one day be able to order a custom from her!" "Love these dresses. So comfortable and flattering on any body shape. Custom fit and high quality. So beautiful and unique you can't just choose one"
" decided to buy a dress because my partner bought a dress and she looked STUNNING. Just received my dress in the mail last night and my partner can't stop raving about how stunning I look! We have TOTALLY different body shapes but Danielle makes these dresses specific to your measurements. INCREDIBLE 🤗 Not only that, I asked for a custom dress and although the image in my mind was beautiful I am NOT a designer. 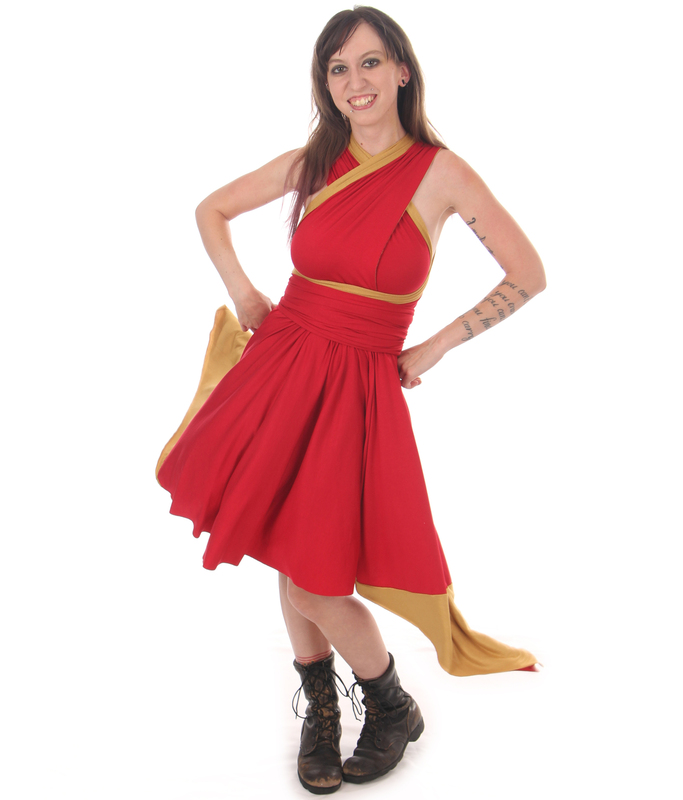 Danielle listened to me graciously and created the DRESS OF MY DREAMS - a Katniss inspired FIRE DRESS. I cannot recommend Little Petal enough. I'm so excited to wear my dress thousands and thousands of times. ❤️❤️❤️❤️. THANKS SO MUCH, DANIELLE!!" 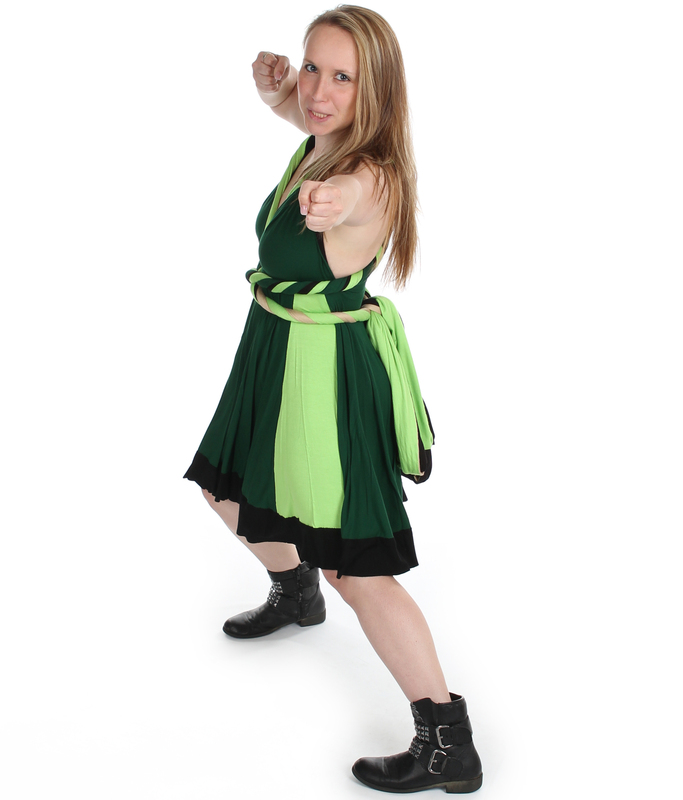 "I bought a custom design dress @DragonCon! Jester from Critical Role. I’ve followed Little Petal for a while before finally deciding to buy a dress and I seriously cannot tell everyone how amazing this dress is. All my friends are sick of hearing about it. I’ve tried 6 wrap styles so far (had the dress 3 days). The halter style Allegra and 3 of the backwards (Jordan, Laura, Leanna, and Jenna) have been my faves so far. I’m a moderately busted woman (DD or E) and I’ve even (maybe tmi here) went bra-less for the past few days with this dress! which I haven’t felt comfortably or confident enough to do since middle school but I can with this dress (without worrying about looking scandalous (unless you want too lol)). I’m already thinking of the design for my next dress." "I have a dress, that I purchased at MAGfest. First of all, the ladies working the booth were friendly, upbeat, and super welcoming. They made jokes with me and finally hooked me into purchasing a beautiful design. Danielle is a wonderful person to work with. She is kind, patient, and an amazing artist. 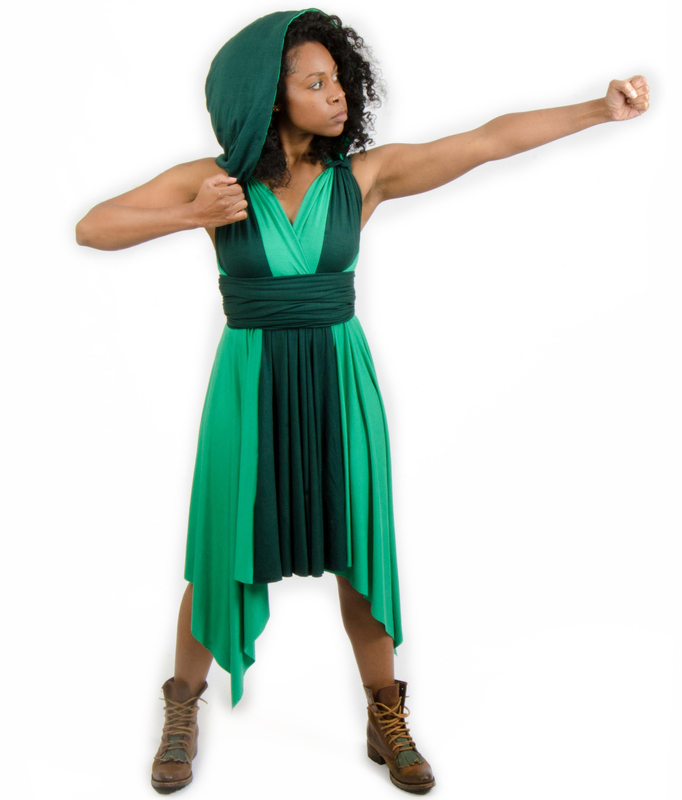 If you're on the fence about purchasing, ORDER A DRESS! It's so worth it!!! The fabric is so nice and it's super comfy to wear. I wore mine the the NY Renaissance Faire on a rather hot day and this dress wasn't overbearing at all in the heat. It actually breathed a lot better than anything else I would have chosen to wear. I will most definitely be purchasing another dress soon... Oh! Forgot to say, my dress also has POCKETS." "I honestly don't know what to say about my Little Petal dress that wouldn't come across as overreacting, but, seriously, it's *amazing*. The material is the most comfortable thing in the world. I just want a pile of their dresses to nest in and never come out it. Totally custom sized, so it fits perfectly. And maybe it's the cosplayer in me, but not only following their listed ties, but trying to figure out new ones is actually just plain fun. Oh yeah, it's got pockets. Also, I can't say enough how awesome this company is as both body positive and LGBT+ positive. Danielle is amazing and an awesome person and everything you see about Little Petal and their positivity is 100% genuine. Honestly, I'm in love with my dress, and am already brainstorming what to get for my second one." "I recently got my dress and it is my new favorite thing to wear! It's so flowy and the possibilities are endless. From the minute I unwrapped it and put it on I could not stop smiling, Danielle made all my dreams come true. Time to save up for another one!" "A company that truly cares about its customers. You will find no other seamstress anywhere with the attention to detail and commitment to the final product. I ordered the Sally dress and I am absolutely in love with it. I can't wait until I'm able to order another! These dresses are addicting!!!" or Dani enough. Thank you for everything." "I absolutely LOVE my dress! This shouldn't be a "first of all" but - FIRST OF ALL, A WRAP DRESS WITH POCKETS!?!??! YES PLEEEEASE! I really am just thrilled about my dress. It's absolutely beautiful and well made. The fabric feels so good against my skin and is a nice weight. Since the dress is custom made to your unique measurements, the fit is excellent - it's nice not worrying about being one size on top and another size on the bottom and having just choose a standard size and "make it work." Danielle is super patient and responsive. I can't wait to order my next dress!" "These dresses are amazing! Super comfortable and soft. I love that you can change the look no matter what your style or what type of weather. I already own two and I am already planning a third! But what's more amazing than the dresses Is the lady that makes them and her team! They are all real chill, nice, and super awesome people! If you are not getting a dress from these people you are already making bad decisions with your life!" "I am now the owner of a Little Petal custom convertible dress and I have to say, I don't think I can shop at a normal store for dresses anymore. The material she uses is sturdy, vibrant, and comfortable as hell. Her talent is unprecedented in allowing a woman to feel beautiful no matter what shape and still be able to let her nerd flag fly in daily life. Danielle is a wonderful woman to hang out with and I am honored to have met her and have a dress made by her." "Danielle of Little Petal makes the best dresses, of any kind. My floor-length convertible dress is the most comfortable dress I own. The material is sturdy yet breathable, which gives you great coverage without being stifling. 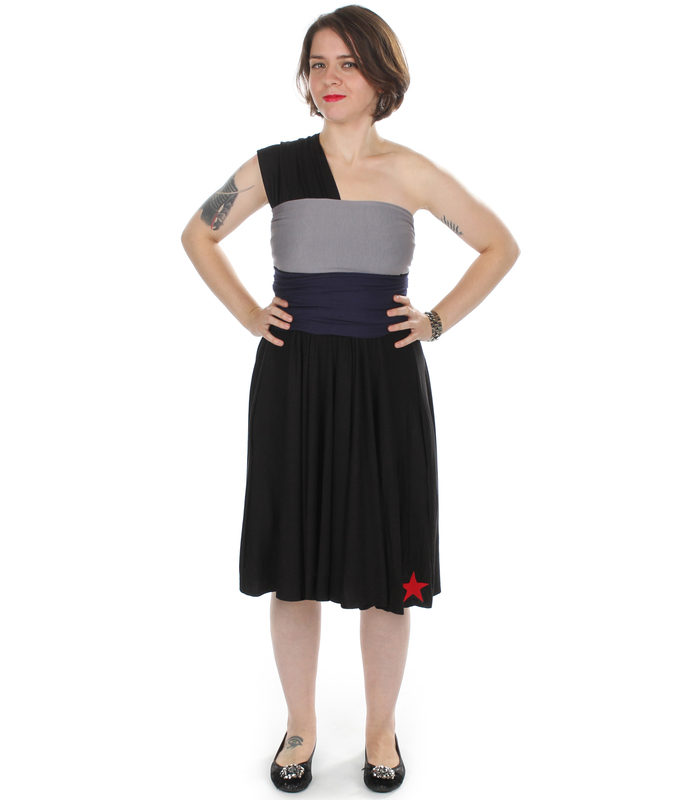 It even has pockets and hooks to pull it up into a knee-length skirt. I love that it perfectly fits me all the time and is always flattering; I really feel confident when I'm wearing this dress - even without a bra! That's without even mentioning how stunning the designs are. 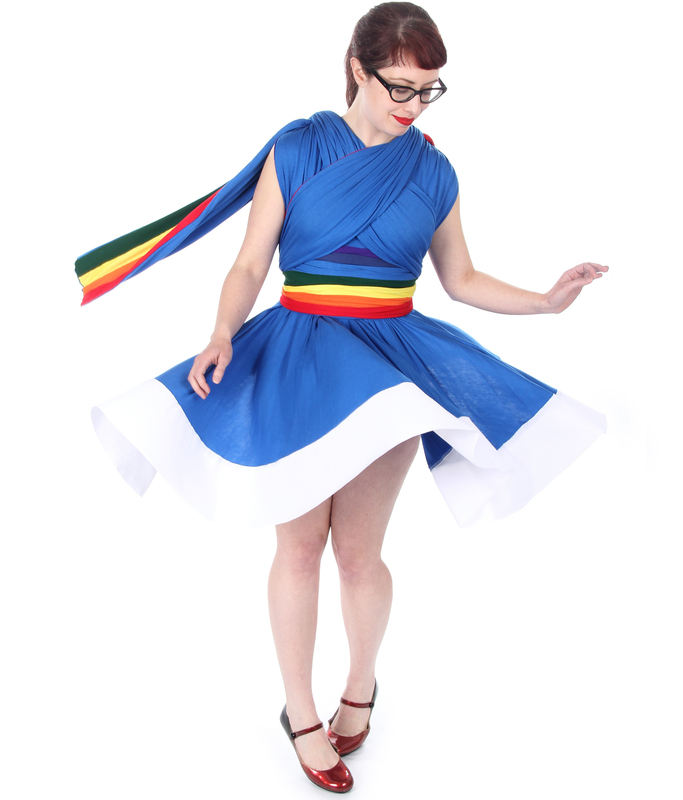 I am so pleased with the TARDIS dress she made me, I constantly get compliments on it. I will absolutely be getting another dress (or two) from Little Petal in the near future." "Danielle was awesome. She was in constant contact with me and gave me my tracking number and it came earlier than I anticipated. I was a bit worried that it wouldn't fit because of my weight fluctuations over the last few months, but nope! 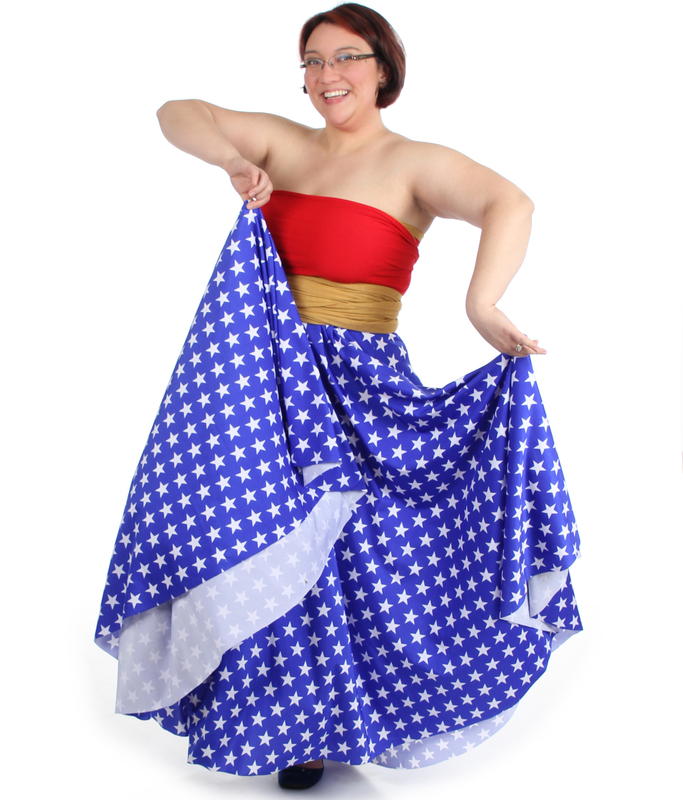 It fits and I love my Wonder Woman dress which is floor length and has pockets. It's perfect." "Danielle and the Little Petal ladies are sweet, professional, and know their stuff! 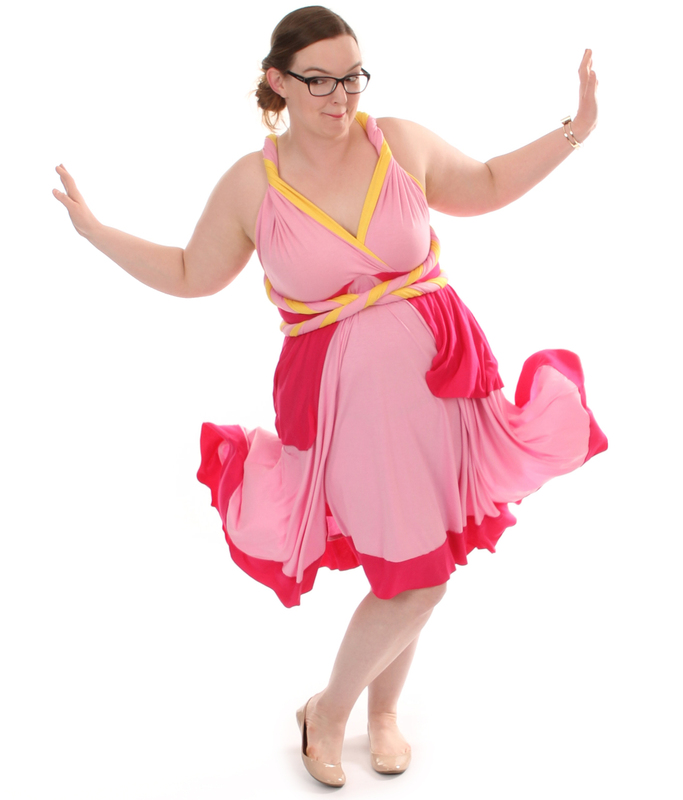 I love every inch of my dress, and can't wait to get it on stage and moving (p.s., dresses have excellent spinning-in-circles potential <3 ). Danielle is also so awesome with communication, answering my questions, and even coming to deliver it in person since we're in the same city. I felt special and valued during the entire process. Love love love!" "You guys are awesome! My Rey costume has the perfect fit and is of good quality. <3"
"I *love* my Little Petal dress! It's beautiful and fun and versatile. It's incredibly comfortable. Once you own a Little Petal dress you're a part of a community of awesome women. I run into people at all different cons and festivals wearing Little Petal dresses and we always stop each other to share some love." "I'm always looking for cute and nerdy outfits to wear in real life and while I'm vending at conventions. 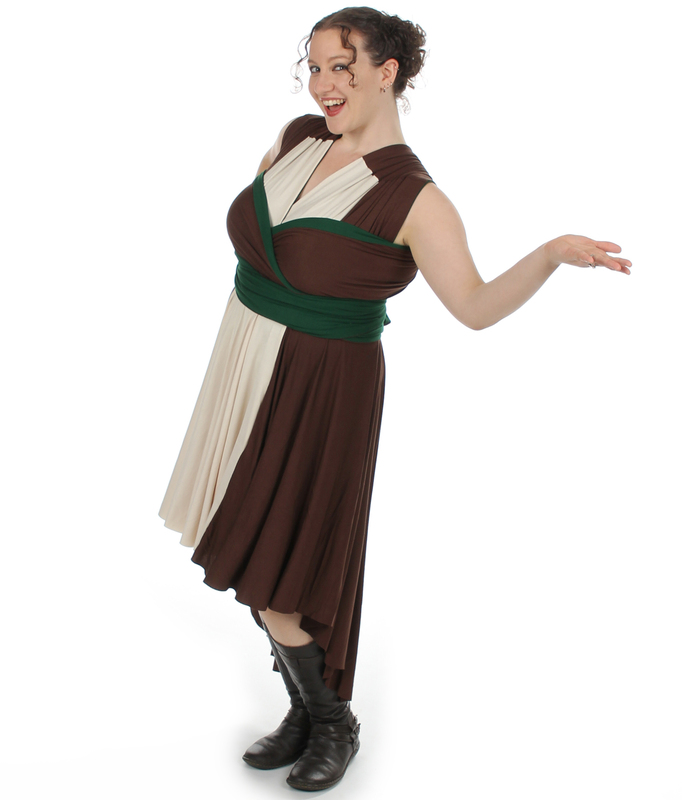 I'm obsessed with my Abandoned Jedi dress because not only is it the softest dress I've ever owned (AND has pockets! ), it's perfectly convertible between two different characters (giving me twice the cosplay options). I love Danielle and everything this company stands for!" " I love my Little Petal dress! No matter how I tie it, the dress is always super comfortable and super flattering. The pockets are perfect, I've danced at concerts all night long and all my belongings stayed put. 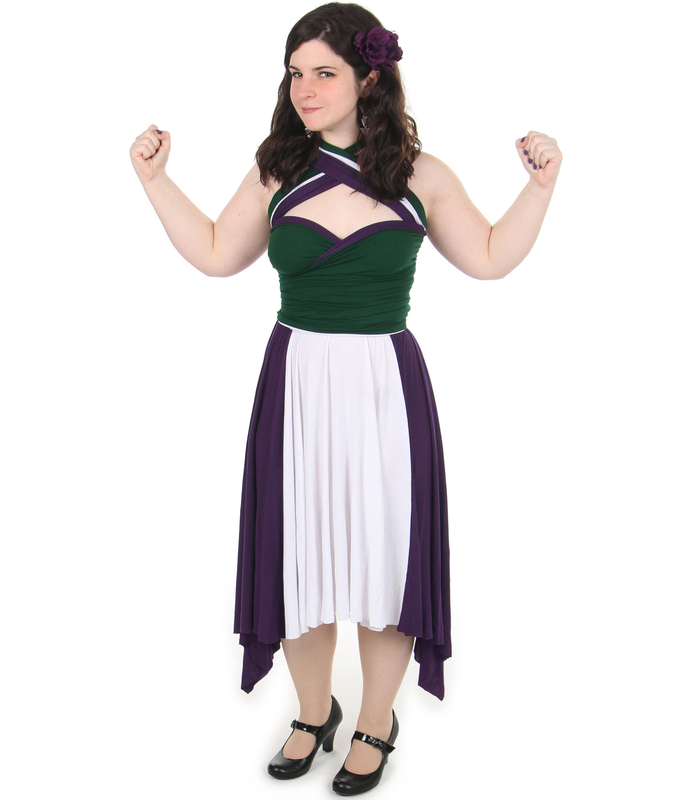 I had such an odd request for a wrestler-themed dress, but Danellie was happy to work with me and gave me exactly what I wanted. It doesn't matter if I'm around wrestling smarks, ska rudies, or just cool-dress fans- I always get a million compliments"
"Such amazing and responsive communication! I can't even begin to recommend Danielle and her work enough!" "Love my Rainbow Brite dress. It's comfortable, stylish and can wrap in so many interesting ways!" "I got my Little Petal dress on Monday. Thank you so much for giving it to my boss to give to me. I absolutely adore it by the way. It's officially my go to dress and I've only had it for barely a week. I plan on ordering more from you very soon. I also got the okay to wear any of your dresses to work from now on so I plan replacing all of my work clothes with your dresses. Just a heads up, I will probably be ordering from you a lot over the next year or so. 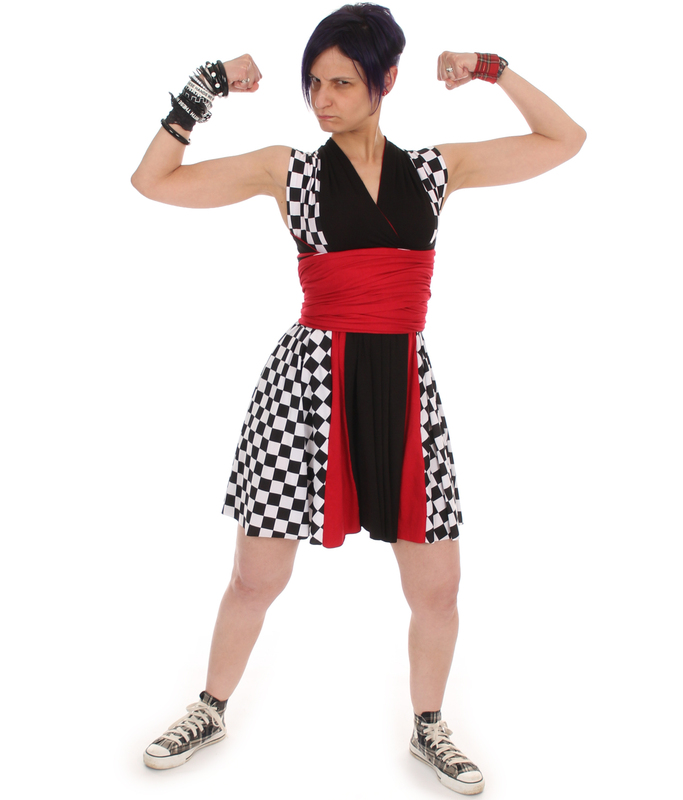 You rock, your company rocks, your dresses rock. I love it. Thank you." "I currently own one Little Petal dress but definitely plan on upping that number in the future. I love the Iron Man dress she made and I can say that hands down it is THE comfiest dress I have ever owned. And pockets!!! A dress with pockets is the queen of dresses. Danielle does amazing work <3"
"I love my dress so much and I am not a dress-wearing person usually!! 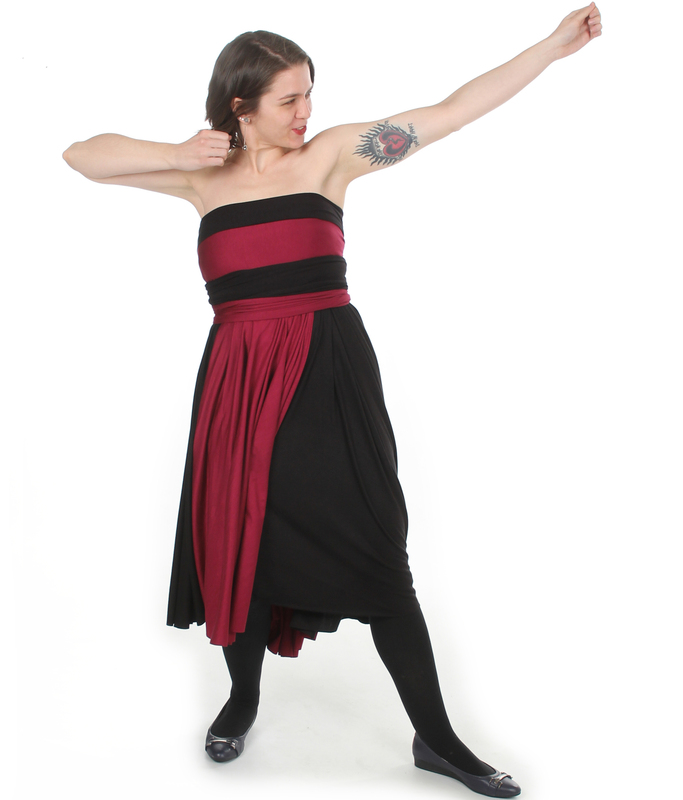 I got a Batgirl dress - so much twirling about and looking awesome while being super comfy. We literally wrapped me in it like a mummy and it still looked good. :) There is so much you can do with these dresses; I will definitely be a repeat customer! Cannot express how much I love wearing it, and I'm slowly learning, and getting better at tying the dress! Holding the entire thing in your arms is like holding a bunch of wet towels, so heavy, but once it's on, it's the lightest, most comfy thing I own. And I highly recommend pockets!! 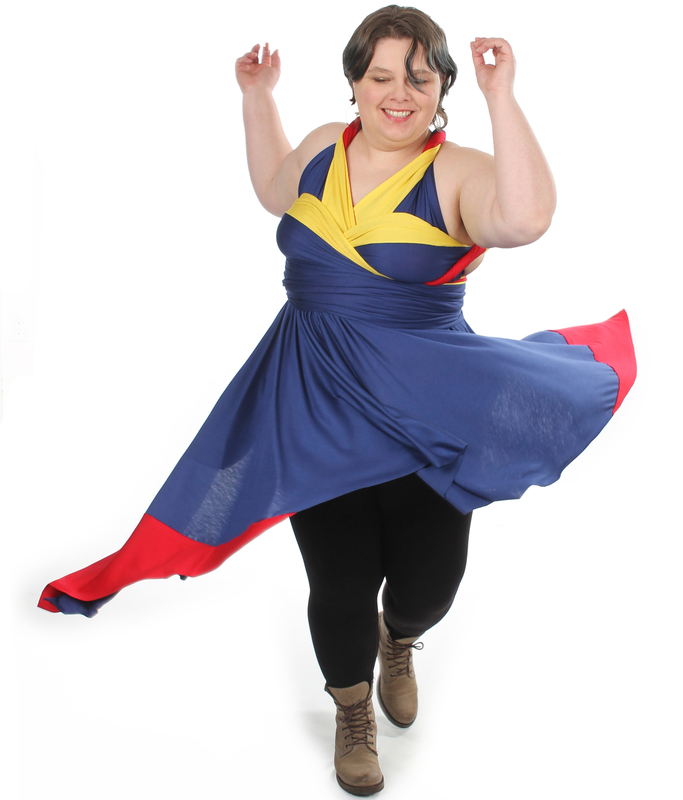 <3"
"I own three Little Petal dresses, Lumpy Space Princess, Captain Marvel, and Ursula. I love them, and my wife can't wait to get one. So comfy, so endlessly entertaining (feeling bored that day? Go re-tie the dress! ), and I always feel gorgeous when I'm wearing one. Also I get all the compliments ever. I love them so much that it's a delicate dance between wanting to wear them all the time and wanting to "save" them for special occasions like conventions, when really the answer is just "more dresses." I always get pockets in mine, and I use the wrap as a utility belt as well, meaning I can carry my phone and everything else I need! 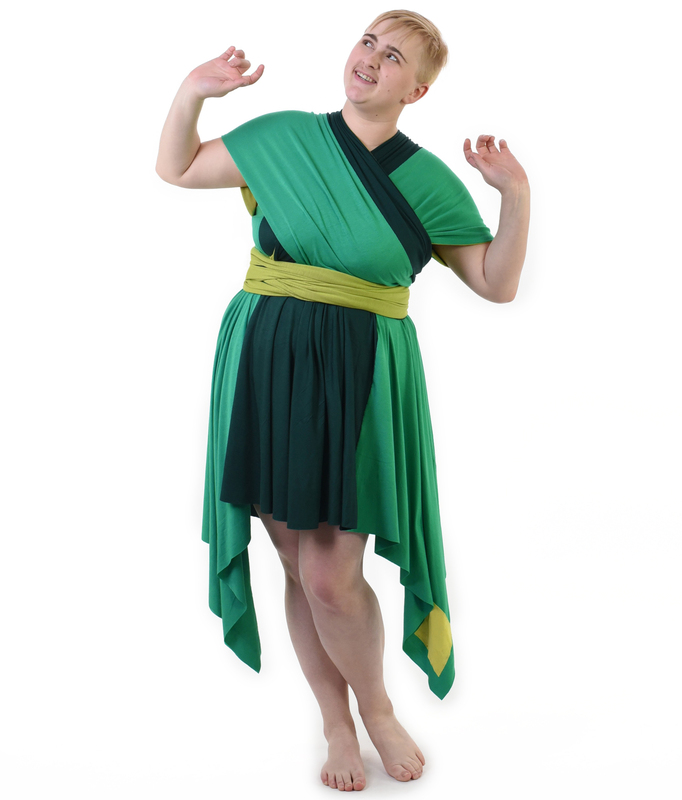 Danielle is amazing to work with, and you should definitely trust her to make your favorite character into a dress for you"
Fill out the form below to leave a review, share your excitement, and send us some love!